Look at him with his Christmas bow on. He is a delight and the little girl will be thrilled with this card just as much as the kitten itself. Have a fun day. Adorable cat image! Great colors and design. Thanks for sharing your fabulous project and joining our current challenge at Inspiration Destination. Hope to see you again and good luck! I do love this image Connie, and such beautiful bow he has too. 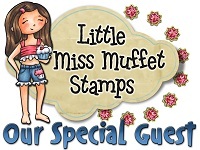 Gorgeous embellishments and I am sure she will love it. What a cute idea for someone to give her a card along with the kitten! SO pretty and that's a cute image of a precious little kitty too. Love the bling! Hello; I can tell you like cats and kittens!! I like the picture in your blog... But your card with the kitten who wants a hug is also great. Thanks for participating in our "animals at Christmas" challenge over at Crafty ribbons this fortnight and welcome back! awww...this is so cute and what a perfect present (card and kitten)! Fabulous coloring too. You did an amazing job. 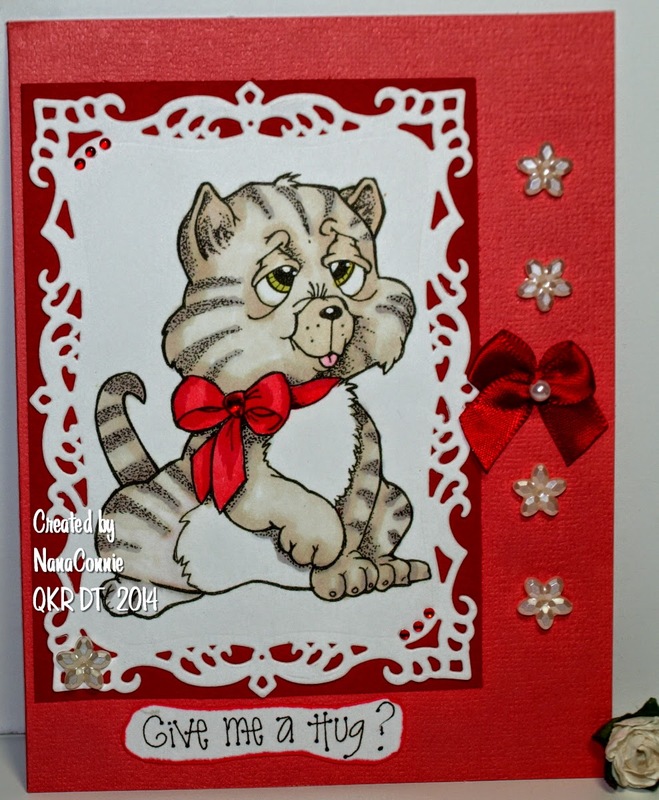 Honestly, I just love all QKR images, but this little kitty looks like he/she got into the eggnog. I hope the little girl loves her kitty. This is so sweet. I love your kitty so adorable. OMG so adorable Connie! Thanks so much for playing in our ‘CHRISTMAS’ challenge at Dies R Us! Please come back again soon! What an adorable cat, I love him. He looks like he needs a hug. Thanks for sharing on the Delightful Challenge of You're A Gem. Sush a sweet little kitten, coloured beautifully! Oh this is such a cute card - love the die cut you used. Thanks for joining in The Paper Shelter challenge this time. What a great card. Thanks for sharing your lovely creation with us at Inky Impressions this week. Soooo cute NanaConnie. Love the image and expression on the cats face.